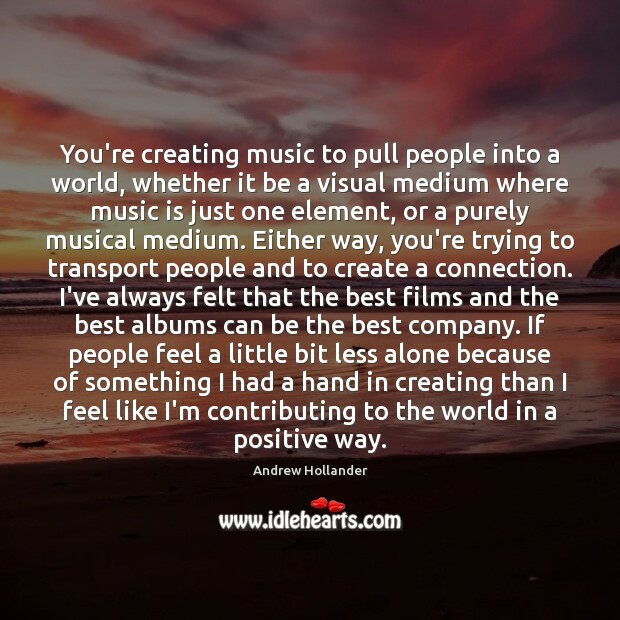 Enjoy the best inspirational, motivational, positive, funny and famous quotes by Andrew Hollander. Use words and picture quotations to push forward and inspire you keep going in life! As a kid, I was always listening to music. I would just go in to my room and put on an album, read the lyrics, and just spend hours and hours in there. 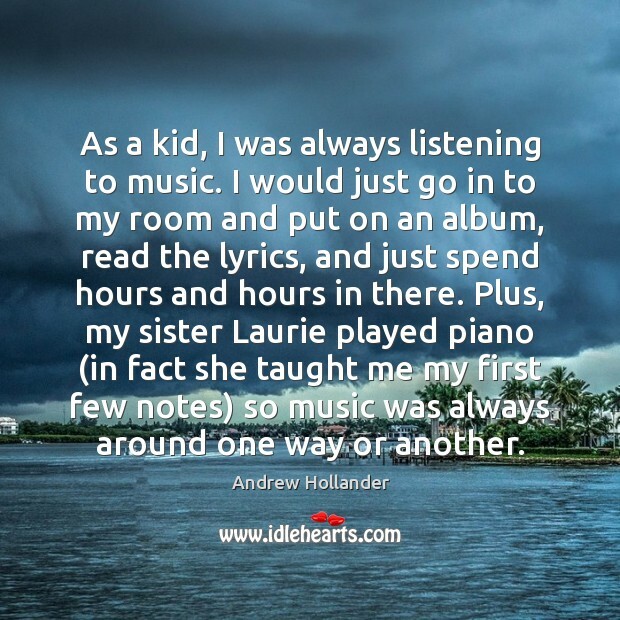 Plus, my sister Laurie played piano (in fact she taught me my first few notes) so music was always around one way or another. 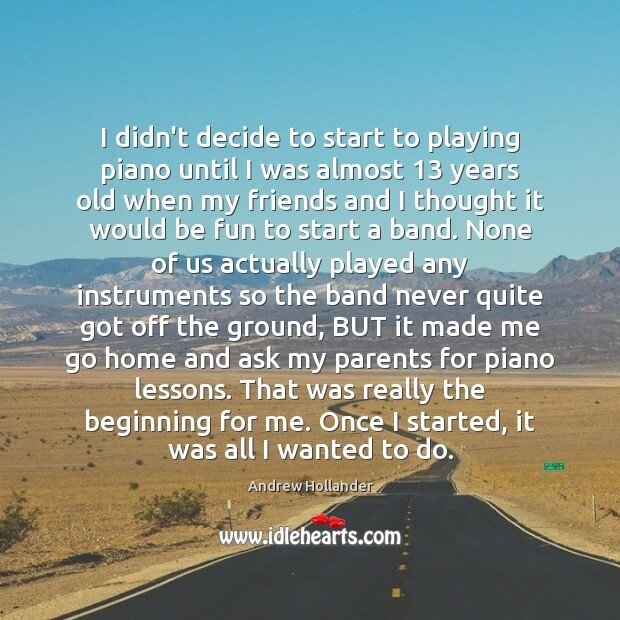 I didn't decide to start to playing piano until I was almost 13 years old when my friends and I thought it would be fun to start a band. None of us actually played any instruments so the band never quite got off the ground, BUT it made me go home and ask my parents for piano lessons. That was really the beginning for me. Once I started, it was all I wanted to do. You're creating music to pull people into a world, whether it be a visual medium where music is just one element, or a purely musical medium. Either way, you're trying to transport people and to create a connection. I've always felt that the best films and the best albums can be the best company. If people feel a little bit less alone because of something I had a hand in creating than I feel like I'm contributing to the world in a positive way.